Over the past four years or so, I’ve been creating a major new work, which I’m pleased to say is now completely finished – aside from one further process: a production run to render it to Bluray so I can make it available to the world. To this end, I’m holding a crowdfunding campaign over at Pozible. There are some really nice rewards involved (most of them including a copy of the final Bluray itself). 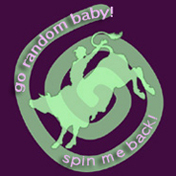 If this is something you think you’d like, chip in and help me make it a physical object. Also feel free to copy the link on to friends & other interested parties. All help will be greatly appreciated! Barbara seems to think we have only two options here: number one is that we accept that imaginary creatures who we’ve never seen, and for whom we have exactly zero evidence, will save our bacon, and number two – ‘the other side of the coin’ – is that we blow ourselves to smithereens. The way I see that picture is that we may as well kiss our asses goodbye right now. 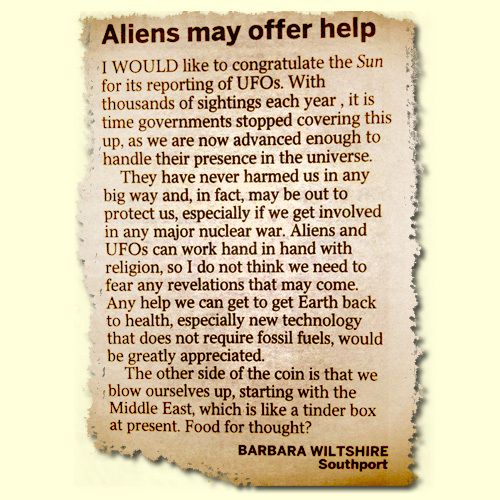 And, y’know Barbara, even if the aliens do exist, I’m not too sure we are advanced enough to handle their presence. In all likelihood, if they set their saucers down on Planet Earth – especially in the good ol’ US of A – they’re likely to get a cap popped up their oviducts. In case you missed it, I’ve aired my views on the aliens-visit-humans scenario previously on TCA and I’m not too sure about being all palsy with them. It’s less a case of food for thought, than the possibility of us being food for them. But heck. Congratulations anyway to The Sun for its reporting of UFOs. Someone has to do it. With thanks to Omenater for digging this one up. 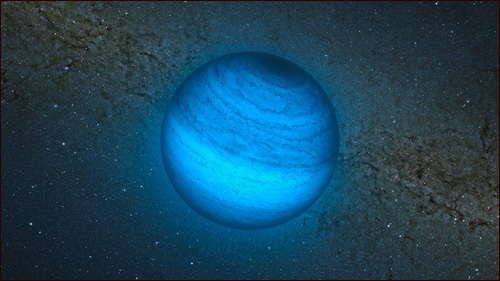 The Australian Broadcasting Corporation’s science news pages are currently carrying a story about the discovery of a ‘rogue’ planet1 ‘wandering all alone through deep space without a host star’. As far as such stories go, it’s an interesting astronomy tidbit, evoking, in the words of Philippe Delorme from France’s Institute of Planetology and Astrophysics, a ‘striking image of orphaned worlds, drifting in the emptiness of space’. I am not a big fan of the artist’s impression. 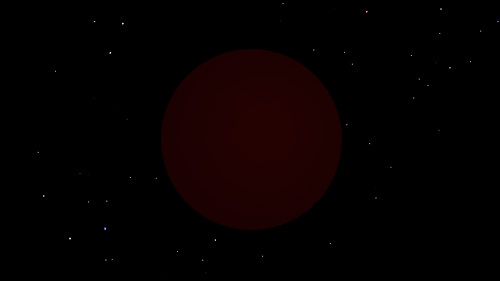 In visible light the object is so cool that it would only shine dimly with a deep red colour when seen close-up. All things considered, here is a better artist’s impression of what you might see should you ever be in the close proximity of CFBDSIR2149. Yep. It’s never going to feature on the ’10 Most Visually Impressive Planets You Must Visit Before You Die’ list, that’s for sure. So what use, actually, is this artist’s impression? It tells us nothing at all about the reality of CFBDSIR2149,4 substituting actual facts with a whole lot of visual speculation and even just plain old untruths. Why not paint a picture of the Death Star or a Borg Cube – ‘impressionistically’ speaking, either would be just as informative. Worse still, whatever mental image we might have formed of a darkened planetary body drifting forlornly across the unimaginable dark nothingness of the interstellar void is now indelibly replaced by the fantasy of an azure Xmas bauble that has no relation to anything. Decoding this for you: it’s a convening of scientists and various religious commentators to attempt to find a way to square religion with the uncomfortable facts that science throws up to challenge it. “…trying to turn society into a machine” if it did not engage with religion and philosophy. Why do religious people think like this? It’s profoundly offensive for a person such as myself who has no religious belief to hear that I can’t, apparently, experience the world as anything other than cold mechanical processes. Does Mr Pinsent have no clue at all that by voicing this opinion he is saying ‘Those of us who hold religious beliefs are better than the rest of you’? … raised lots of questions [about the origins of the Universe] that scientists alone can’t answer. Yeah, and you know what Canon Dr Wilton? The Anglican Church can’t answer them either. Nor can any other religion on the planet. Making up a story does not count as an answer. 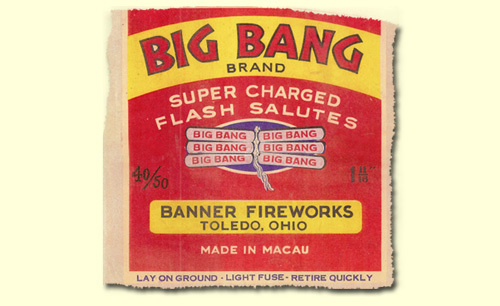 When Hawking argues, in support of his theory of spontaneous creation, that it was only necessary for ‘the blue touch paper’ to be lit to ‘set the universe going’, the question must be: where did this blue touch paper come from? And who lit it, if not God? This kind of nutty religious noodling simply makes me furious. These people don’t want a serious philosophical debate, no matter how they may be couching it. Having a genuine philosophical discussion about these kinds of big questions might be of some value. Having a religious discussion is entirely worthless because they’ve already made up their mind that they know the answer. By the end… we might find new ways of understanding our own positions. Canon Dr Wilton has no intention whatsoever of ‘finding a new way to understand his position’ – not in any meaningful way, in any case. Faced with a mystery, he just calls ‘God’ and that’s the end of it. That’s not how science works. 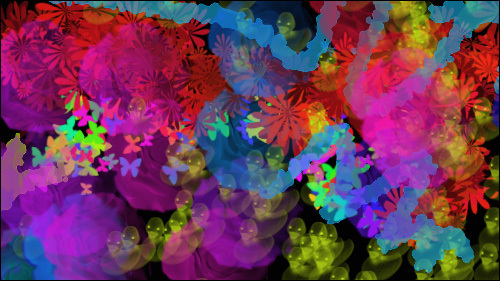 Science is able to entertain the idea of a mystery without making a pronouncement. Or, science can contemplate the proposition that an old bloke with a white beard set things in motion. Or that it’s turtles all the way down. Or that we’re in someone else’s computer simulation. The difference is that scientists just don’t merely presuppose one of those things and set about trying to convince everyone by talking it up. Science needs evidence, something religion is remarkably short on. One gets the impression from a meeting like this that scientists care about God; they don’t. You can’t disprove the theory of God. The power of science is uncertainty. Everything is uncertain, but science can define that uncertainty. That’s why science makes progress and religion doesn’t. If the atheists are right, the mind that does science… is the end product of a mindless unguided process.Now, if you knew your computer was the product of a mindless unguided process, you wouldn’t trust it. I doubt Professor Lennox has even the faintest clue how utterly stupid a declaration like that sounds. It’s just another way of saying ‘But look at how amazing humans are! That can’t just be a product of evolution!’ Well, Professor Lennox, it can be and it is. Your lack of understanding of how things work does not, as I’ve said, imply the existence of a God, no matter how much mystery there is in the process. Andrew Pinsent also features in the update, once again attempting to create a division between science and philosophy, as if scientists can’t be philosophers. Just look at his language – it is careful and insidious. Lawrence Krauss, by contrast, makes it clear that the issue here is science and religion, not philosophy. If you’ve read any of Krauss’s books, you will know that, like all good scientists, he’s no stranger to philosophy. Thanks to acce245 for throwing this one my way. While Violet Towne and I were out on our bikes yesterday, our conversation turned to philosophy and politics, as it sometimes does. Specifically, I was defending the Mars Lab/Curiosity program against her assertion that it was a waste of money when there were so many much more important issues on the political plate. Well, I agree that there are numerous pressing matters that need our attention (and money) but I was most vehement that there are a lot of other things that could lose a few pounds (metaphorically speaking) before we should start carving up great and inspiring science projects. “Show me the numbers!” she said, defiantly. 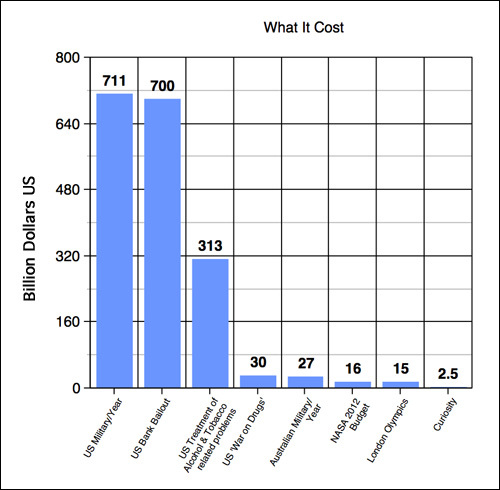 As you can plainly see, the budget for the Curiosity/Science Lab project is not even one pixel high on this comparison scale. I could, of course keep going with this – I haven’t touched on gambling, or government inefficiency, or tax breaks for religion or a half dozen other areas where large amounts of money seem to slush around without a proper degree of scrutiny. But what does all this mean, in the end? For me, it’s simple. As humans we can, of course, choose to put our resources wherever we like. So far, I believe that choice has always leaned far too heavily towards the things at which animals are good – being the fittest, the strongest, the fastest. Or being the greediest, the most aggressive, the most dominant. It has not served us well. The result is that we have become powerful animals facing an existential crisis, and the traits that we carry as animals – the aggression, the greed, the power-mongering – are the exact opposite of what we need to get us out of this crisis. We are starting to encounter problems that we will not conquer by being fast, or strong or fit.12 Being better at animal things was once enough. Now it isn’t. The things that humans alone are good at – the things that our brains enable us to do such as imagining the possibilities of the future, pondering the poetry of our existence, turning our curious gaze onto the mechanics of the very universe itself – occupy the very tiniest parts of the minds of most people (and therefore most governments). This ability that humans have to plan for the future by creating a mental vision of it is more-or-less nonexistant in all other animals.13 So what do we do to the people who are very good at this kind of inspirational far-thinking? We vilify and undervalue them. When they tell us ‘There is a big problem with the climate and we should do something about it!’ the powerful apes get up on their boxes and beat their chests, so that they might remain popular and powerful, and the greedy apes use all the cunning that their superior brain has given them to make arguments that everything is OK and we should all just kick back and consume, and the fit and fast apes run around entertaining everyone. If we cannot use the leverage that nature has given us to come to terms with the world-destroying problems we now face, we are truly doomed. We have squandered the one advantage that we have over other animals. Our difference will have enabled us to wipe ourselves out, rather than allowed us to achieve that future which we alone can imagine. So what has all this to do with a little vehicle pottering around in the dust of a cold world some 225 million kilometers from our home? Well, in my opinion, projects like Curiosity help us turn our gaze outward – out of ourselves and away from our tiny little human preocupations. Indeed, I think that this curiosity to know stuff that has no direct consequence to our animal existence is a marker that says that we may, perhaps, have a chance after all. There are, of course, many areas where we might have directed the 2.5 billion dollars that went to Curiosity. Violet Towne considered that it would have been better spent going towards helping solve the climate change problem, for example. Well, I agree that climate change research is an area that could really use that kind of money. And there are numerous pressing compassionate issues that are desperately in need of money also. I hope my argument has convinced you (and her), though, that stealing the funds from visionary human endeavours like the Mars Science Lab is entirely the wrong tactic if you want to help address these probems. I want to make it quite clear that I’m not advocating doing away with sport, or stopping everyone from imbibing reality-altering substances, or even saying that we could conveniently curtail all our military spending, but to me it seems that all these pursuits – these profoundly ‘ape-like’ pursuits – are where we should look first for money that could be better off spent elsewhere. I’m pretty sure they could spare a little of the quite exorbitant amounts of cash that are currently rained down on them. Violet Towne fears that I have portrayed her as a Luddite here, and as somewhat anti-science. I want to assure you that she is not, and that I respect her views, and her willingness to challenge me on my own, very much. You all know that it’s unlikely I would last long with a partner who didn’t have a vibrant and informed worldview. But I think I am right in saying that, like many people, she had formed an opinion – almost entirely concocted by irresponsible and ignorant media reporting, in my view – that NASA spends excessive amounts of money on things no-one really cares about. My intent with this post is simply to demonstrate that, in the grand scheme of things, NASA’s budget is relatively well spent. It seems to me that robbing Peter to pay Paul by redistributing NASA’s budget to areas of more pressing need is a kind of madness fanned by a perplexing and distressing anti-science sentiment creeping across the world. 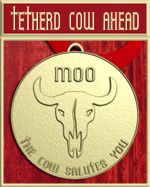 Tetherd Cow Ahead is powered by	WordPress 4.2.23 and delivered to you in 0.375 seconds using 85 queries.